Pictured above, the Paul S. Sarbanes Silver Spring Transit Center is a bus (+ taxi and a bit of bike accommodation) station built next to the Silver Spring Metrorail and MARC train station in Montgomery County, Maryland. The SSTC opened on September 20th (many years behind schedule, because of various problems with the design and construction of the structure). The station was built by Montgomery County for operation by WMATA. Creating a major bus station of this scale is a step forward in the definition of nodes and the service footprint of the metropolitan transit system. Generally, transit stations help to grow ridership by providing more amenities and better service. The Silver Spring Metrorail station is the terminus for two of DC's bus lines including the 16th Street S line, which is the highest ridership route in the Metrobus system, and for some of the highest ridership Metrobus lines within Montgomery County, and is a major hub for the Montgomery County RideOn bus system, which is one of the nation's most successful suburban bus system. 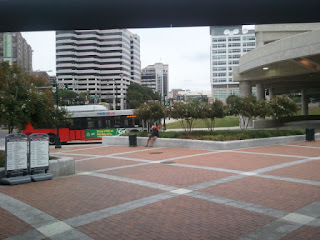 The station is a bus station, complementing the Metrorail station next door. To enter the SSTC, subway riders have to exit the Metrorail station on the ground floor. 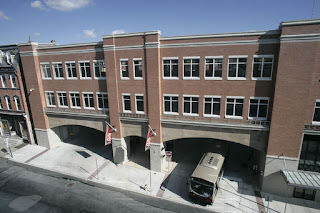 The three-floor station dedicates the first two floors to bus service--Metrobus, Montgomery County RideOn, and the University of Maryland Shuttle bus service. 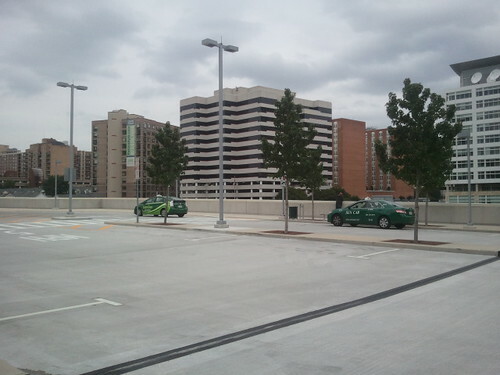 The third floor provides some dedicated parking for the disabled and Enterprise Car Share, a taxi stand, and bike parking. The second floor of the station includes the TRIPS transit information center and public restrooms that don't require asking a station manager for permission to enter. This floor has a direct connection to the MARC platform. The station has been organized as a set of bus bays with coordinated wayfinding signage throughout the station, using the design conventions for the Metrorail signage system. Each bay has a digital screen presenting bus arrival and departure information. The original plan included moving the inter-city bus services currently located on Fenton Avenue (pictured at right) to the station, although that has not yet occurred. A bike station was never part of the design of the facility but such a facility is anticipated to be developed nearby. Connections to the future Purple Line light rail and the Metropolitan Branch Trail will be integrated into the station complex as those projects are completed. Unfortunately, the building's delivery was many years behind schedule because of problems with the facility's design and construction ("Cost of Silver Spring Transit Center repairs jumps another $21 million" and "Montgomery, Metro sue 3 firms over troubled Silver Spring Transit Center," Washington Post) and this has impacted people's confidence in the ability of government and collective action to execute major construction projects. make it easier to link modes with the aim of improving the effectiveness of transit use by created a sustainable mobility system. DC's Union Station is a big deal architecturally, but it is one of the area's most significant elements of transportation infrastructure as a major portal into the region (along with two airports, and small extant suburban train stations), and alongside the Metrorail system, the freeway system and the network of major arterials. 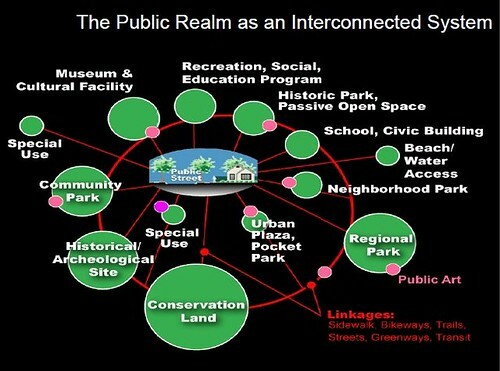 Concept of the Public Realm as an Interconnected System by David Barth. From a design standpoint, SSTC should have been conceived as a significant civic asset at at least four scales, as a transit portal significant within the DC regional transit network and the network of significant transit stations in Maryland; as a prominent element of Montgomery County's public realm framework and portfolio of civic assets; and as an anchor of the Silver Spring downtown. 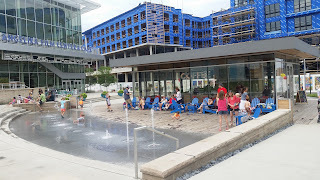 The SSTC was conceptualized as a way to spur investment in Silver Spring at a time when the district languished compared to other activity centers in the Washington metropolitan area, and lagged "west county" too, compared to the Rockville Pike-I-270 corridor, at a time when other proposals to stoke improvement in Silver Spring failed to gain traction. Unfortunately, it was decided that size and placement of the station were more important than the attractiveness of its architecture, despite the significance and multiple roles of the station as a transit station, civic asset, and anchor for the business district. Anaheim's transit center is outfitted with LED lights and a night-time architectural lighting program. Flickr photo by Roving Vagabond. The SSTC was designed to be a drab concrete parking structure for buses, only distinctive in its ordinariness, size and location. That is the case even though the facility is now a major node in the regional transportation system, second only to Union Station as a station in the area's public transit network, and within Maryland as one of the state's most important transit stations, alongside Penn Station in Baltimore and the BWI Rail Station and transit center serving the Baltimore airport. However, it must be acknowledged that by hiding the surface bus station behind concrete walls, the visual blight that was once present--the site was the Metrorail station's bus facility--has been eliminated. Yet, this is a only a marginal improvement in the visual qualities of the site, because while the extent of the visual blight has been reduced, the parking structure-like transit station is a different form of unattractiveness. Fortunately, more recent Silver Spring projects including the Downtown Silver Spring retail venture on Ellsworth Avenue and the Whole Foods strip shopping center on Fenton Street, along with significant public buildings, the Silver Spring Civic Building fronted by a well-used plaza and winter-time ice rink ("The layering effect: how the building blocks of an integrated public realm set the stage for community building and Silver Spring, Maryland as an example") and the new Silver Spring Library, and cultural facilities including relocation of the AFI Film Theater to a renovated Silver Theatre, other playhouses, and the privately managed Fillmore concert hall--have been wildly successful, making Silver Spring a leading destination in Suburban Maryland and for DC residents living in Upper Northwest. By default, the Metrorail station is the new center of Silver Spring, complemented by the retail and entertainment district that lies a few minute walk away from the station. As discussed, the architectural, design, and aesthetic opportunities present with the station went unrealized. 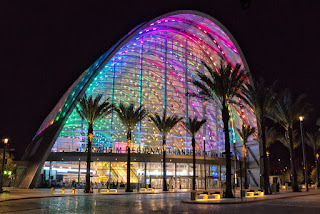 By contrast, for about 20% more in cost, the recently opened Anaheim Regional Transportation Intermodal Center (ARTIC) is far more distinctive with a much greater visual and branding impact than the SSTC--and visual and branding impact were originally significant outcomes expected from the creation of the SSTC. ARTIC is an example of using new materials and treatments to update the idea of a "train station" for the 21st Century. Anaheim is not Los Angeles, but as the home to Disneyland and professional baseball and hockey teams, it is a major city in the metropolitan area, and the city's elected officials deemed the station worthy of the extra expense in creating a civic asset worthy of the city's prominence. OTOH, compared to the SSTC+Metrorail+MARC, the station in Anaheim will experience far fewer riders on a daily basis. See "Meet ARTIC, Anaheim's $188 Million Station to Nowhere," Orange County Weekly. Queen Street Transit Station, Lancaster. A liner building and structure hides the bus yard from the street and maintains the integrity of the streetwall. 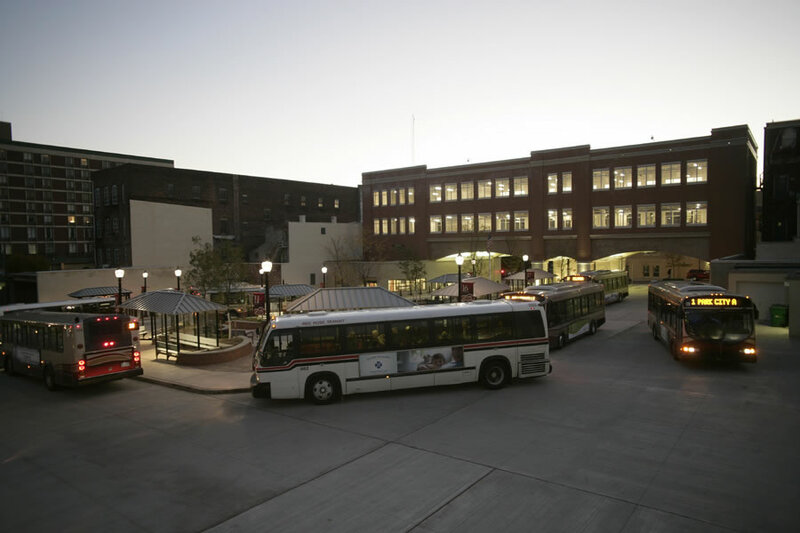 Other recent examples of new bus-focused transit centers across the country show another way that transit stations are being designed, as a context sensitive insertion into the Downtown building stock. 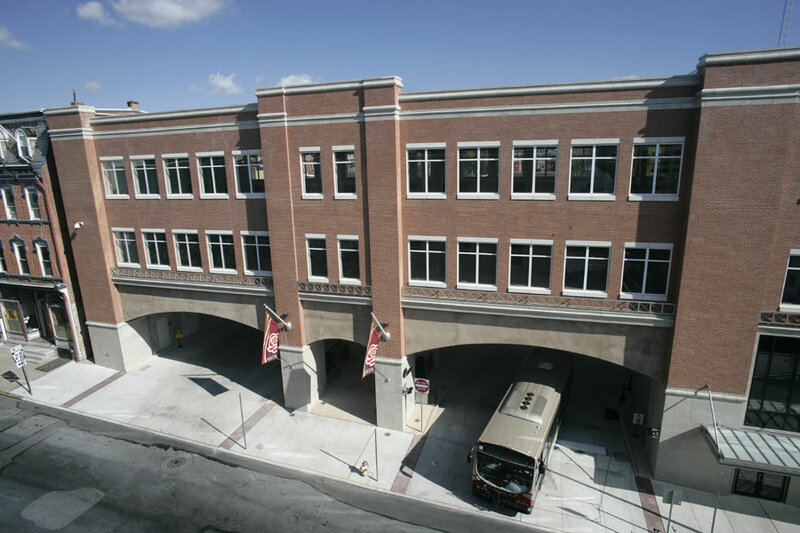 For example stations in Lancaster, PA and Rochester, NY ("Touring Rochester's shiny new transit center," Rochester Democrat & Chronicle), serving smaller transit systems compared to the SSTC, have facade treatments that are designed to appear more like a portal transit station with a sense of civic authoritativeness, fitting in seamlessly into the Downtown fabric. The back side of the Queen Street Transit Station. The building has the ticket office and heated waiting area, and restrooms. Signage in and around the station presents local transportation history. Given that the SSTC looks and functions like a parking garage, it's fair to compare it to other examples of that type. While rare, attractive parking garages do exist. Comparable to the Queen Street transit station in Lancaster, there are dozens of examples where the exterior facade mimics functional buildings, to maintain the integrity of the streetwall. A parking structure in Staunton, Virginia is well known for such a treatment. Given Silver Spring's art deco architectural heritage, it would have been interesting to look to examples of art deco parking structures as a source of design cues for the transit station. 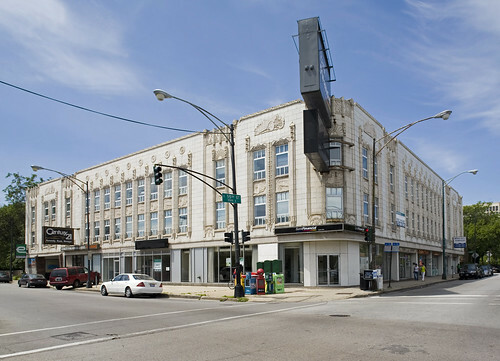 One example of an art deco parking garage at the neighborhood scale is in Chicago, a building originally constructed for a Chevrolet dealership. On the ground floor, the dealership and 8 other storefronts lined the structure with entry and exit ramps behind, and space for 400 cars on two floors above. Flickr photo of the Ritz-55th Street parking garage by David Schalliol. But Silver Spring deserves more of an office district treatment were such a design to have been employed for the SSTC. Although the buildings are no longer extant (see James Goode's Capital Losses), DC had some good examples of well-designed parking structures that were designed to complement the existing building stock Downtown. One example is the Capital Garage, pictured in a cartoon drawn by Patrick Reynolds from his comic strip about Washington-area history, as published in the Sunday edition of the Washington Post. Such a treatment for the SSTC would have been beneficial by reiterating the importance of the district's historical architecture as an element of Silver Spring's identity. 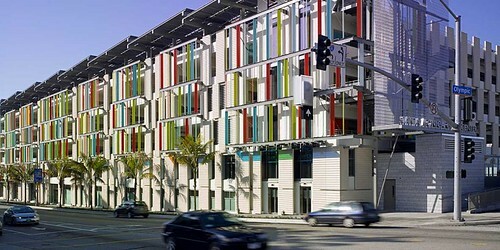 However, reaching back to historical architectural styles isn't the only way to design distinctive parking structures. Some parking structures fit in by standing out and that could have been the direction taken in designing the single use bus station that is the Silver Spring Transit Center. Car Park 3 at the Chesapeake Energy Corporation campus in Oklahoma City was designed by Rand Elliott & Associates Architects to be an attractive node in the city's transportation infrastructure in city where the car dominates. Each floor of Car Park 3 is marked by a different color, produced via specially colored and engineered polycarbonate panels manufactured by Duo-Gard Inc. Photo: Scott McDonald/Hedrich Blessing Photography. Flickr photo of the Santa Monica Civic Center parking garage at night by Andrew Boscardin. In order to establish a strong presence within the city’s cluster of civic buildings, this structure was conceived as much more than a traditional parking garage—rather, a functionally dynamic celebration of civic life. The 300,000 sf parking structure effectively provides not only 882 parking spaces (accommodated in six levels above grade and two below grade) but also a wide variety of amenities to the community. Serving as an easily identifiable marker for the entire civic center, the building affords spectacular views of the Pacific Ocean and the city from the upper levels, while a café on the main plaza terrace animates the pedestrian traffic flow. Santa Monica Civic Center Parking Structure in daytime. Photo: Moore Rudle Yudell Architects. With vision and a sense of the value of civic architecture in terms of Montgomery County's public realm and as an element of the transit infrastructure, the dull result achieved by the Silver Spring Transit Center could have been avoided, had the structure been designed to be a distinctive anchoring element of Silver Spring's core and built environment. Wasting the opportunity to build above the station--why wasn't a mixed use program developed for the site? The design of the building is one thing, the opportunity costs present within the project is something else entirely. Judging by the height of office buildings in the vicinity of the Silver Spring Transit Center, a building of significant height could have been constructed above the station. This would have produced--depending on the final design--a building that could have been much more significant architecturally, visually, and financially. Suburban Station-One Penn Center, Center City Philadelphia. Wikipedia photo. One station that should have been used as a model for conceptualizing and designing the SSTC as a station and office building is the Suburban Station in Philadelphia, which happens to be in the art deco style. Built by the Pennsylvania Railroad in the 1930s, the station is called Suburban Station to distinguish its service footprint of local commuter lines from the 30th Street Station, which service to regional and national destinations. Today, the station section of the building is owned by the local transit authority and includes retail spaces, while the 20-story office building, titled One Penn Center, is under separate ownership and management. While attempts to build office as part of the new transit center in Rochester, NY failed because of the weakness of the commercial real estate market there, the Silver Spring real estate market is stronger comparatively, and a signature building, at the right price, located immediately adjacent to a Metrorail station, likely would have been quite successful. Instead, Silver Spring's position as a location for commercial office has continued to decline vis-a-vis other employment centers, even though its position as a retail and residential center continues to strengthen. In most places, transit systems don't own their major stations, so they don't benefit from the revenue potential that high use stations offer. One exception is Grand Central Station, which is owned by the Metropolitan Transportation Authority, and the MTA has therefore developed a sophisticated real estate management function and rigorously manages and constantly improves the retail offer there. Similarly, the Denver Train Station is owned by the local transit authority, and after a recent renovation and expansion, has a top notch array of retail and restaurant offerings. Given that the Silver Spring Transit Station was created on publicly controlled land and designed from the ground up, there were no limitations on taking advantage of opportunities to develop significant and additional revenue streams for the transit system. Revenue streams could have included (1) rentable office (or residential) space; (2) cafes and other retail; and (3) digital advertising. No building above--either office or residential or both. The biggest failure was to let the air rights of the building go unrealized. The failure to create a mixed use building instead of settling for a single use staging garage for buses represents hundreds of millions of dollars of lost revenue. Millions of dollars of annual rental income could have been generated from an office building on the site and could have led to a shift in how WMATA considers revenue maximization from transit station development. No liner building means no retail. Irrespective of the decision to not to develop above the station, there was a failure to develop "around" or in front of the station. A liner building around the bus structure could have included cafes and other retail. By being constructed in front of building openings on the first and second floors would have been covered, providing more protection inside the structure from weather effects. No (digital) advertising. 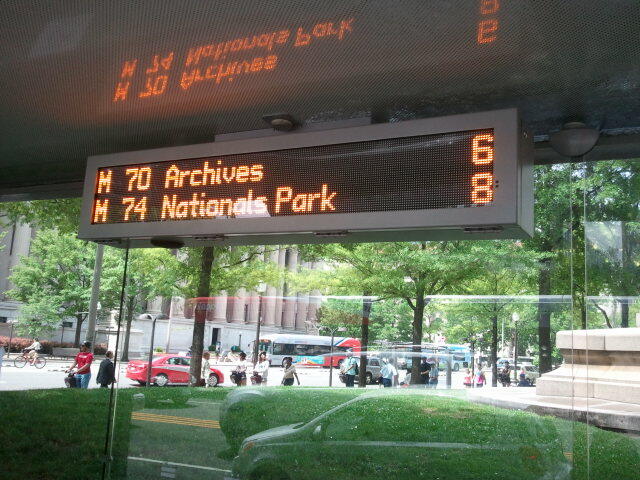 At the same time, while the SSTC shows an advance in the presentation of transit information with bus bay specific schedule information in attractive displays (compared to the hideous "ticker tape" displays installed in DC bus shelters), a digital advertising network could have been developed as part of the deployment of the screen system, and it wasn't. 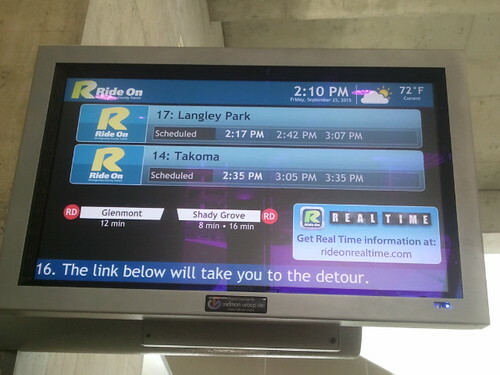 The digital screens displaying transit information at each bus bay were developed by Redmon Group. Other opportunities to deploy digital information and advertising programs could have been created elsewhere in the SSTC and the abutting Metrorail station (and eventually throughout the Metrorail station network). 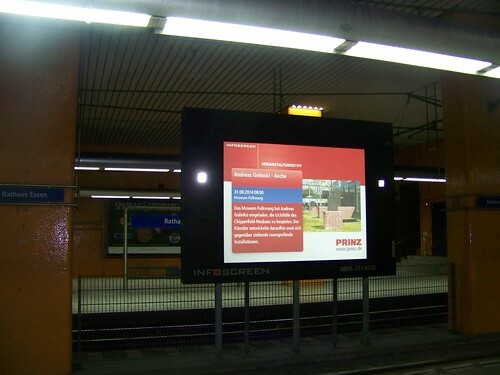 Large digital screens display news and ads in many of the stations in the Hamburg U-Bahn. 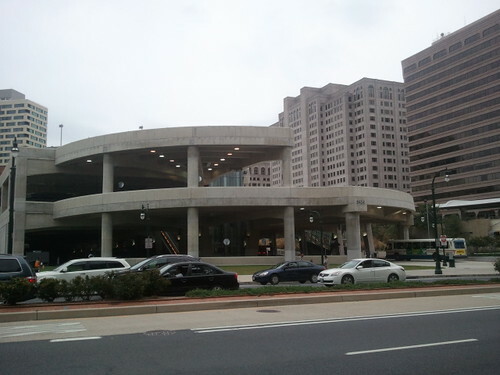 After Union Station, the Silver Spring Transit Center is now the second most prominent dedicated station structure in the Metrorail network, and is the most prominent station structure within the Metrobus network. Steps forward in rider services and station amenities. The station does have restrooms and has incorporated the TRIPS transit information center that had been a couple blocks away from the Metro station. This area will share a heated lobby with a counter for inter-city bus service, although there is no seating area. Plantings in some areas of the station are a quantum leap beyond the minimal landscape treatments elsewhere in the Metrorail system, although the area between the SSTC and the sidewalks along Colesville Road and Wayne Avenue is grass only currently. An attractive plaza-like design treatment was created between the Metrorail exit and the SSTC entrance and is much nicer than the typical Metrorail entrance. Compared to bus shelters on the street or on the grounds of a regular transit station, a majority of the bus bays are under ceilings, reducing rain, sun, and snow effects. The digital information displays at each bus bay are a big improvement in the presentation of arrival and departure information at bus stops. But while these are visible improvements which all should applaud, much more could have been done. 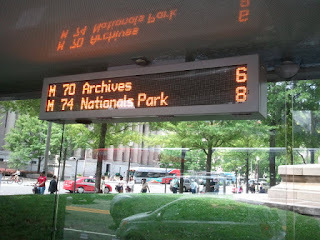 Bus line arrival information display in a DC bus shelter. (1) Limited protection against the weather. Parts of the structure, including the third floor, are fully open to the elements, because the building's "window" openings are uncovered, which means that most riders won't be fully protected from wind, rain, sun, and snow while waiting in the station. Besides improving the attractiveness of the building, incorporating polycarbonate treatments comparable to those used at Car Park 3 at the Chesapeake Energy campus ("CAR PARK THREE & FOUR AT CHESAPEAKE," Architect's Newspaper) would have better protected patrons from weather. (2) Minimal seating. There is just one sitting bench at each bus bay, providing 3 to 4 seats depending on how close people are willing to sit to each other. (3) Failures in the wayfinding system. While conforming to the Metrorail system's design framework for station signage, the bus bay signs are extremely muted and could have been designed differently to incorporate a significant pop of color. Bus stop signs on the street are much more visually distinctive. 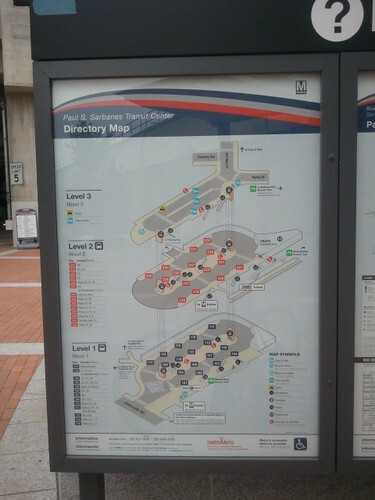 While there are bus maps at each bus bay for its routes, even though it's a bus station, maps of the complete bus system aren't displayed in the SSTC, even though the comprehensive bus system maps for the Silver Spring area are displayed in the Metrorail station. But, bus maps and route schedule brochures are available in the transit information center on the second floor, and signage and a brochure specifically for the SSTC have been created. Occasional MARC riders aren't given enough signage assistance to know which platform--east or west of the tracks--they should be on in order to catch the right train. I talked with one person who had been on the wrong platform and therefore had to wait two hours for the next train to Brunswick. MARC rail maps could also be posted to better effect. However, nothing prevents a liner building from being constructed to wrap around the station along the Colesville Road and Wayne Avenue elevations of the building. To add such functions sooner, kiosks and temporary buildings could be located on the site in the interim, while longer term options are considered. 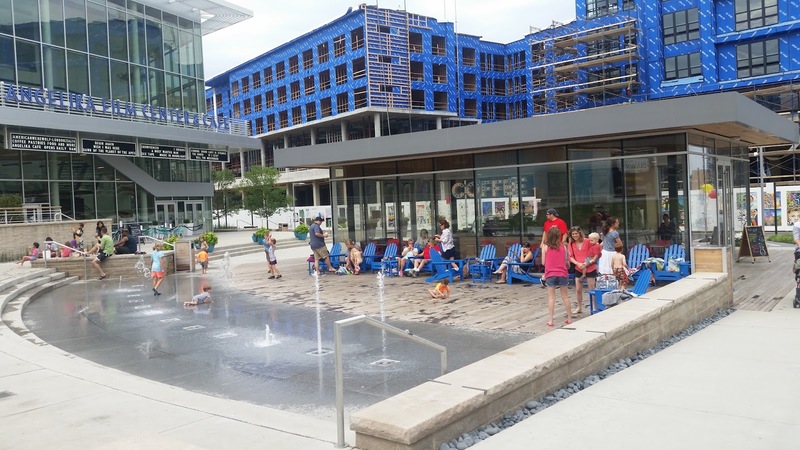 The photo at right shows a cafe (with a splash fountain) fronting the green and cinema building in the Mosaic District in the Merrifield area of Fairfax County. The SSTC grounds don't need a splash park, but could be considerably enlivened. (5) The taxi stand is not located adjacent to the stairwells and escalators providing access to the third floor, but is positioned across the lot. People have to walk across moving traffic--or the long way around on the sidewalk--to get to a taxi. This is a safety issue too as people are likely to walk across the parking lot, amidst traffic, because it is the shortest route. (6) Car sharing access is limited to Enterprise Car Share. In keeping with WMATA's exclusive contract with Enterprise Car Share, only Enterprise Car Share vehicles are parked and available on the structure's top floor. I'd argue that the SSTC, befitting its position as a major transit portal, should have been conceptualized as the one exception to the exclusive contract, with space made available--at a price--to all car sharing services wanting to be represented there, given the station's place as a key inter-modal node in the regional transportation network. Going forward, nodes/portal stations in the metropolitan transit network be configured contractually to provide access to all car sharing firms that want to be present, for the same reason. 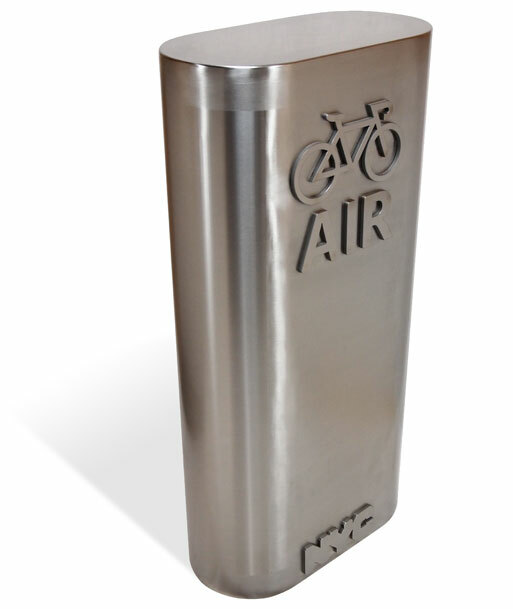 Electric air pump produced by Bike Fixtation for NYC. (7) Bike accommodations are mostly an afterthought. Racks are present on the top level (and between the bus and rail stations on the ground floor) but are uncovered. 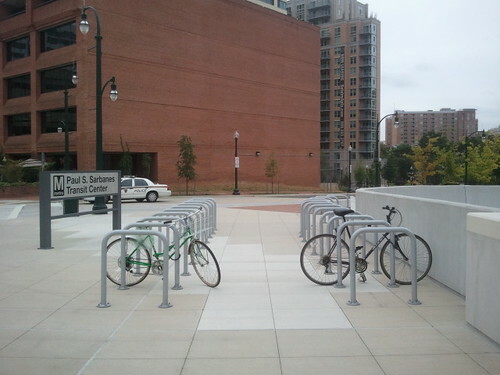 Secure bike lockers are also made available, but a secure parking area comparable to recently constructed bicycle parking facilities at Metrorail stations in College Park or on the Silver Line wasn't constructed. Befitting the station's new position as a major node in the transit network, it is unfortunate that premier bike service facilities, in particular air pumps and bike repair stands, were not installed as part of the project, which could have been done for an insignificant amount of money in the context of the $150 million cost of the station. A bike share station has been installed some distance away from the Metrorail and bus stations on Ramsey Street, the road serving the third floor of the transit station. It is not particularly convenient, but is close by. This map sign showing the Silver Spring and DC bike maps is posted at the self-service bike station at The Blairs apartment-retail complex in Silver Spring. Similar kinds of maps should be posted in Metrorail and other inter-modal transit stations throughout the metropolitan area. No bike network maps are posted in the bus (or rail) station nor in the areas where the bike racks have been installed. However, area bike maps and a special Silver Spring bikeways map and brochure are available at the transit information center, which is a welcome step forward. (8) Inter-city bus services have not yet been moved to the SSTC and too few bays--only one--have been allocated to these services. More direct interconnection of this mode with Metrorail and more buslines would better serve transit users. To accommodate likely demand for inter-city bus service and overlays, Ramsey Street (pictured at left) which functions as a service drive adjacent to the station complex, could be used for staging inter-city bus service, although it would be nice to construct some more waiting facilities for riders. (9) No car rental services have been incorporated into the station. If a fourth floor had been constructed, preferably beneath the at-grade first floor, rental car services (and more car sharing spaces) could have been located in the station also. Demand likely would have been much lower than at Union Station, which features multiple rental car counters, but the option should have been considered as part of the design of a fully intermodal station complex. No sense in grousing about the lack of other development - those grassy lots will be developed. Also, air rights development over the transit center would've been nice, but it would've added a ton of extra complexity and cost. ARTIC in Anaheim is a nice structure, but adds almost nothing in terms of actual transit operations improvement. Silver Spring does add a great deal for transit operations and for the passenger experience. You list the lack of colorful signage as a 'failure.' Why? If the wayfinding works, what's the problem? If you don't like the color scheme, does that really rise to a 'failure'? Alex, it is a failure for it lack of place-making and continues to emphasize that Silver Spring is a dumping ground for the losers of the metro area. Charlie you are spot on. Modernism as such is a know -nothing style of building- a debasement of human values at best and a burden and eyesore almost all of the time. Aesthetics mean nothing in modernism - no color- shoddy or the cheapest ,materials, and all around visual pollution is the standard operating principal. A bureaucratic state like Maryland- with an even more bureaucratic county such as Montgomery would not see the wisdom of creating a "place" at all- its just paperwork contracts and deadlines. Nobody cares about the lasting impact and standard of high civilization and how we leave our mark for future generations. everything is functionality- and even Richard points out- much functionality has been lost in building this piece of feces excuse for a 21st century modern structure. Pure institutionalism. Even Stalin and Hitler had real architects and artists who made things fit into place and not stand out like a sore festering wound. So what /who is say we could never do better than these maniacs? Alex B. -- I understand that the ARTIC doesn't add much to the transit system, but that isn't the point, they made the decision to build a station and they made a decision to make it grand. MoCo/WMATA made a decision to build a station and it has functionality and improves the service footprint, but it's grim, when it could have been startling. And yes of course a mixed use building would have been more complex, but the opportunity cost of not doing so, I argue, is probably considerable. WRT aesthetics and the wayfinding, it does make a difference. Color and I guess I didn't make it clear, in the case of the different bus bays, would make a big difference in labeling the bays as Metrobus, RideOn, or UM Shuttle. They use logos on the first two, but they are quite small. For those of us who are aging, bigger and colorful is better than small and drab as a way to communicate. wrt modernism and bus stations, there are some great examples around the world. The bus station in Preston, England is the example that comes to mind of a more recent vintage (1960s). Greyhound went through some of its biggest expansion during the art deco period, so there are probably at least 100 to 200 or even more great examples of stations across the country, of the art deco style. DC still has one although a new building was constructed around it. This Cleveland example is pretty typical of the form. 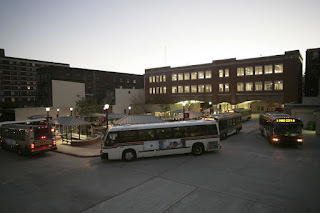 Even though the nature of the trip is different, given the significance of the station in the context of the metropolitan, regional and state transit network, I should have mentioned inter city bus terminals as a possible building type to have considered as a model for developing a design approach to the station. The Victoria Coach Station in London is a particularly grand example, also dating to the 1930s. But we could probably find a few others. I won't go back and modify the post though, it's already too long. Currently existing stations that I can think of include the station in Hamburg or Montreal (probably dating to the 1950s, somewhat utilitarian, but set up well inside). in architecture, I regard modernism mostly as the post WW2 aberrations and abominations. Prior to WW2 much of quality was still be made- as you so correctly have pointed out here. In the fine arts modernism preceded architecture in practice- but the mainstream did not really have an uptake of modernism until after WW2 when a general building boom and enlarged economy came about. Thus modernism in architecture - in many ways lagged behind similar movements in painting sculpture and other visual arts forms. 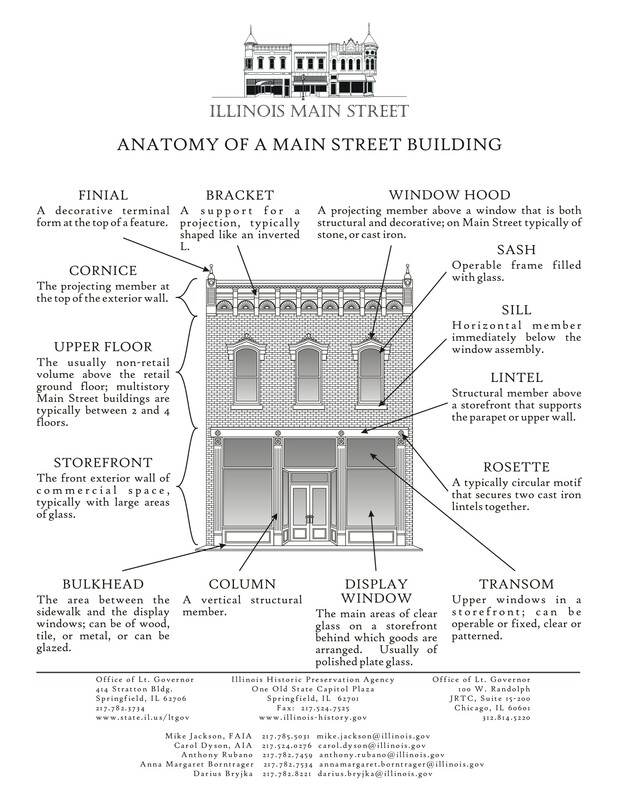 Funny- at one time- architecture was actually considered a "fine art" but really no longer. being a practicing professional artist I learned along time ago that architects now days mostly have distanced themselves from allied artists or art forms. This is contrary to most of human history and is likely a good reason for the blandness and sterility of so much of their output- no question of this at all- this is generally accepted by most fine arts people I know of and work with today. 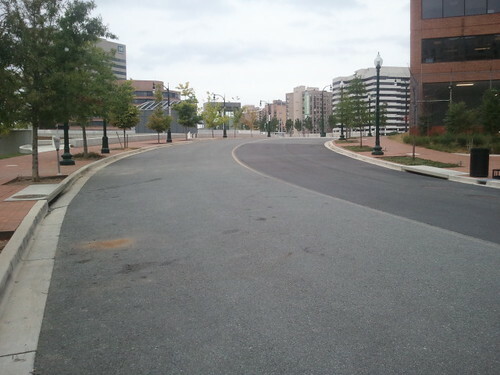 WMATA just needs to expedite the RFP for the empty lots surrounding the transit center. That addresses about 80% of the issues listed here. well, I would say not building about the "parking structure" is more than 50% of the issue. But yes, building on the exterior of the site will address some of the weather and site vitality issues and importantly, will hide the drabness of the structure. But hopefully, the drabness won't merely be replaced with something equally dull. 1. Public art. More recently a mural was reinstalled in the walkway under the underpass on the south side of Colesville Road. 2. 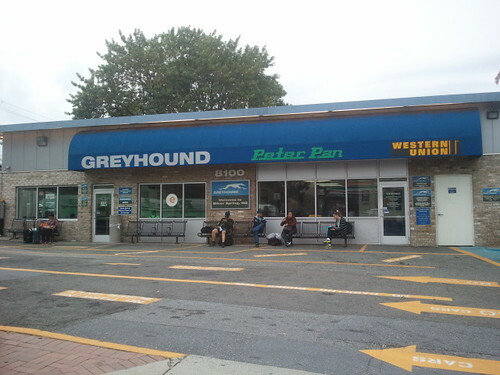 I missed the fact that the Transit Store should have been located on the ground plane, near/between the Metrorail Station and the Bus Station. 3. The information signage showing the diagram of the bus station has three slots. One is a repeat of information on the other two slots. It should have had area map signage. 4. 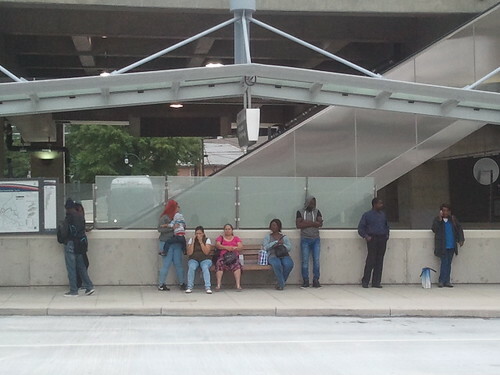 Indianapolis Carson Transit Center wins awards. Amenities include wifi.